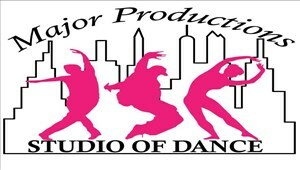 Thank you for registering with Major Productions Studio of Dance! Please fill out the form in it's entirety before clicking submit. We will only accept Credit Cards or Bank ACH for payments. Auto Debit information MUST be inserted in order for your registration to be completed. Please choose a minimum of 1 class. Multiple classes can be chosen. Summer Workshop Participants ONLY: Your fee will be taken via auto-debit with the account you place on file. There are NO REFUNDS or PRO-RATION for the Summer Workshop program. Summer Workshop Participants ONLY: Registration fees will manually need to be changed to the correct amount of $20 per dancer once you register. Please allow 24 hours to make the adjustment. $30 registration fee will be accessed for the 1st student in the family. Each additional student will be $15. Family registration fee will not exceed $60. If you register prior to July 25, 2018, your registration fee will be pulled immediately and your first months tuition will be pulled on July 25, 2018. If you register on July 25, 2018 or after, your registration fee along with your first months tuition will be pulled at the same time. Summer Workshop Participants ONLY: Account updates can be done through the Parent Portal. Late fees will not pertain to Summer Workshops as the entire amount must be paid up in full up front. Every dancer has access to their account to update their contact information, medical notifications, view balances, enroll into classes, etc. Also, should you have a payment decline with your on file account, you can change your credit/debit card or bank account information without contacting the studio. All declined accounts must be updated and rectified within 48 hours. After the 48 hour window passes, a $20 late fee will be added to your account. Summer Workshop Participants ONLY: We will not be holding a recital at the end of the summer. Major Productions Studio of Dance Staff spends multiple hours each year ensuring that every dancer and dance looks it's very best on stage during our year-end dance recital. Our year-end dance recital is the only performance all year that will be required for every dancer to participate in. More than likely each dancer will perform in more than 1 show on the same weekend. Recital dates are May 31, June 1 - 2, 2019. The final schedule will be released in March of 2019. Save the entire weekend! Summer Workshop Participants ONLY: No costume fees or Hip Hop shoe fees will be accessed to accounts for Summer Workshops. Each dancer will be required to purchase 1 costume for every class in the amount of $80. This fee will be due on December 1, 2018. All fees will be pulled directly from the account on file. Summer Workshop Participants ONLY: No notice of withdrawal is necessary for Summer Workshops. *Commitment to dance is very important. Teachers spend multiple hours working on each dance. They must work on choreography, formations, groups, ripples, etc. These parts of the dance are based around the dancers that sign up for the class. We strongly believe at MPSD when you start something you finish it. If you feel it absolutely necessary to withdrawal your child from class you MUST provide a 30 day written notice. If this written notice is not received by the MPSD admins (Sam or Tracy) your tuition will continue to be taken via auto debit and your child will be considered absent. Please allow 7 - 10 business days to remove your account from auto-debit for the month following the 30-days. Should you provide your written notice to close to the first of the month, there is a chance that your account will be auto-debited for the following month. It will not be prorated. We will NOT accept the word of a minor for any reason as a withdrawal or notification for any reason. All communication needs to be made directly from the registering parent to make or adjust your account in any way. I, hereby irrevocably and unconditionally release and hold harmless from liability the Major Productions Studio of Dance (Tracy & Sam Stratman), its trustees, agents, independent contractors, any instructors associated with its programs from any and all liabilities, claims, actions, damages, costs or expenses of any nature whatsoever whether in law or equity, know or unknown, occurring during, caused by, relating to, or arising in any way from participation in the Major Productions Studio of Dance (Tracy & Sam Stratman) classes, performances, parades, etc. This LIABILITY DISCLAIMER will also cover Sarasota County School District, Manatee County School District, Manatee Charter, and Imagine Schools, any and all locations that Major Productions Studio of Dance (Tracy & Sam Stratman) holds performances and/or rehearsals, any of their staff, assistants, or volunteers. I understand that this Release from Liability irrevocably and unconditionally releases and holds harmless Major Productions Studio of Dance (Tracy & Sam Stratman), its trustees, agents, independent contractors, and any instructors associated with its programs, from any financial liability for any injury, bodily harm, sickness, illness, or loss of life the participant may suffer and from any economic harm or loss of property occurring during, caused by, relating to, or arising in any way out of the above events. Should MPSD have to obtain an attorney to collect fees owed, all attorney and court fees will be added to your final total. ADULT SUPERVISION: I acknowledge that I am personally responsible for the supervision and safety of my child and that I am solely responsible for my child's supervision at all times. (The only exception being in class time in which my child is a registered participant.) At the end of their class time I resume responsibility of my child. MEDICAL RELEASE: In case of an emergency, I understand that an effort will be made to contact me at the phone numbers recorded in my child's Emergency Contact form. I understand that I am obligated to contact Major Productions Studio of Dance to update my contact information if those numbers change. I hereby give my permission to the physician selected by the teacher in charge to secure proper treatment including hospitalization, anesthesia, surgery, or injection of medications for my child.